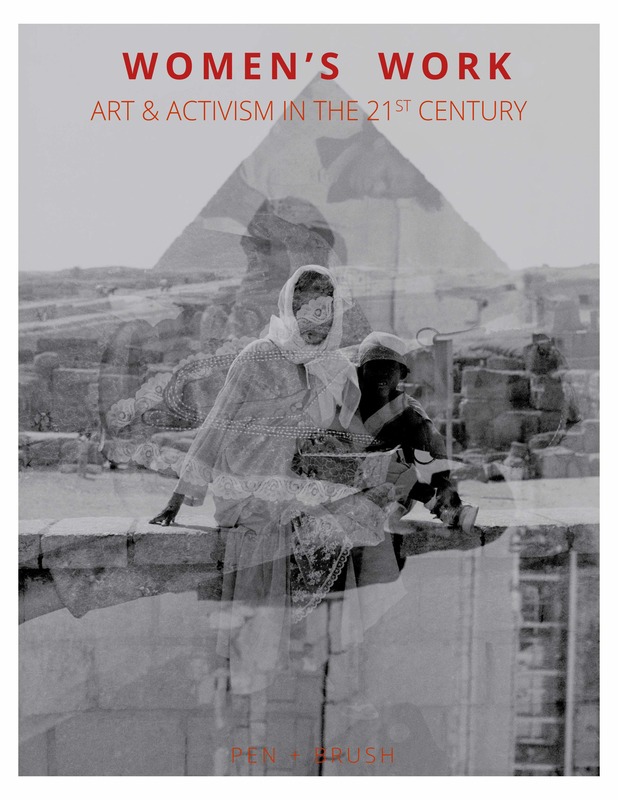 *The Women’s Work Issue, forthcoming in Spring/Summer 2019, coincides with the Women’s Work: Art & Activism in the 21st Century exhibition at Pen and Brush in New York City featuring the works of Sama Alshaibi, María Magdalena Campos-Pons, Suchitra Mattai, Miora Rajaonary, and Ming Smith. On view April 10 – August 2, 2019. Women’s Work: Art & Activism in the 21st Century takes as a point of anti-departure, Oxford Dictionary’s definition of women’s work as: “Work traditionally and historically undertaken by women, especially tasks of a domestic nature such as cooking, needlework, and child rearing.” Despite the last century of groundbreaking, audacious change and catalysts, the dictionary still hasn’t caught up to us. Neither a dismissal nor a trivializing of this definition, the exhibition is grounded in the belief that all women’s work, within the realm of the domestic and beyond, is valuable. However, it acknowledges that the definition has rightly evolved, and must continue to do so, across centuries and geographies. Women’s Work presents five global contemporary artists-activists who continue to expand the definition of women’s work and expose its complexity, nuance, and ever-evolving nature. Through dynamic art practices, they generously lend their intelligence, thoughtfulness, artistry and agency to reimagine women’s work as arts activism in the 21st century. For Sama Alshaibi, that work is to re-visualize the historical and contemporary image of the Middle Eastern woman. For Cuban-born María Magdalena Campos-Pons, women’s work is rooted in the intersections of art and healing. In challenging the dismissal of women’s handmade traditions, Suchitra Mattai works to elevate the artistry of women of the Indian Diaspora. Through her portraiture of Malagasy women, Miora Rajaonary usurps a history of Madagascar rarely written by women. And, for Ming Smith, to bear witness, to document, to show up and be present in lands near and distant, is women’s work. Collectively, these artists remind us that women’s work is rooted in activism, justice, healing, service, and resistance. Women’s Work is a provocation for us all—to reclaim the term and to make space for its reinventions and future possibilities. Cover Image: Ming Smith, Masque, Cairo, Egypt, c.a. 1990s. 35 mm black-and-white photography, archival pigment print, 60 x 40 inches. Courtesy of the artist.